Florence Nwanzuruahu Nkiru Nwapa — more commonly known as Flora Nwapa — is a woman whose accomplishments are impressive in both breadth and depth. The first daughter of six children, Nwapa was born to Christopher Ijeome and Martha Nwapa on the 13th January 1931 in Ugwuta, where she spent the majority of her childhood (Nzegwu, 2001 and Hendy, n.d). She attended the famous and prestigious Elenlenwa Girls School during her primary school years, kicking off a lifetime of extensive education and academic excellence (Nzeribe & Okereke, 2016). Nwapa pursued her undergraduate studies at University College in Ibandan, Nigeria where she read English, History and Geography and graduated in 1957. 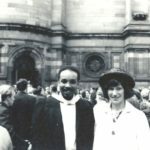 It was after this that she traveled to Scotland to earn her diploma in Education from the University of Edinburgh in 1958, following the suit of her parents, both of whom were teachers. After returning from Edinburgh, Nwapa married and kicked off her career as a Woman Education Officer in the Ministry of Education in Calabar, Nigeria, and later moved on to become a teacher at the Queen’s School in Enugu. From 1962 until 1967, she was the Assistant Registrar at the University of Lagos (Nzegwu, 2001). Life in Nigeria was turbulent in the late sixties, and Nwapa was forced to flee her post in Lagos after the massacres of Igbo people in northern Nigeria. It was after the Biafran War, a civil war following the Igbo massacres, that Nwapa’s career in public service began. In January 1970, during the post-war reconstruction period, Nwapa was appointed Minister of Health and Social Welfare of Nigeria’s former East Central State; she was the first person to hold the post. During her tenure as Minister, Nwapa is credited the tremendous duty of locating and reuniting children displaced by the war with their families; she also oversaw the return of children who were evacuated to nearby countries to their homes in Nigeria. A year later, Nwapa was appointed Minister for Land, Survey, Urban Development and Establishment, turning her focus towards rebuilding and rehabilitating battered town and cities (Nzegwu, 2001). For her outstanding work, she was awarded one of Nigeria’s highest honours, the Order of Niger in 1982 (Hendy, N.D.). But Nwapa’s enormous contributions to the improving the condition and wellbeing of Nigerian (and tangentially, African) people was not limited to her work as an educator and civil servant. It was at age 35, while working for the University of Lagos, that Nwapa published her first novel Efuru and became the first African woman to internationally publish a novel in the English language (Hendy, N.D.). Despite being lauded today as an important African and feminist novel, Efuru was initially met with criticisms — “many considered Nwapa’s writing weak and the story inauthentic” (Perdigao, 2017). Her writing career extended far beyond Efuru: during just her political career from 1970 to 1975, she published two novels, Idu in 1970 and Never Again in 1975; a collection of short stories, This is Lagos and Other Stories in 1971; and her first children’s book, Emeka-Driver’s Guard in 1972 (Nzegwu, 2001). After leaving the position of Minister of Land, Survey, Urban Development and Establishment, she and her husband founded two publishing firms: Flora Nwapa and Co., and Tana Press, the latter being the first indigenous publish house owned by an African woman in West Africa (Hendy, N.D.). Nwapa was excited about indigenous literary production, and actively stressed the importance of creating opportunities for Nigerian writers to publish their work locally (Nzegwu, 2001). Still, and despite rhetoric around the country calling for more indigenously published work, Nwapa found a lack of interest from the government in supporting local publishers. Nwapa’s ventures thus fell apart as she struggled to afford the costs of supporting her publishing firms. Ezenwa-Ochaeta notes that “in several [of the books published by Nwapa’s firms] the physical quality seems to be compromised by financial constraints: the paper is opaque, the printing is too heavy and bold for easy reading and the illustration lacks finish” (Ezenwa-Ocheata, 1998). Still, Nwapa’s lack of success as a publisher is inconsequential in comparison to her great feats as a civil servant, an author and as a champion of women’s empowerment in Africa. Indeed, the lives and welfare of women was central to Flora Nwapa’s ethos. She felt that “the European conquest of Africa radically altered this state of affairs with devastating consequences for women and by extension the society as a whole” (Nzegwu, 2001, p7), and aimed in her life and writing to subvert these insidious colonial legacies. She used her novels “to think of African femininity beyond the idea of victimisation” (Hendy, N.D.), and she actively strove to “concentrate on women in her society” and in doing so asserted a “women-centred front on the concerted African anti-colonial discourse of the late 1960s” (Nzegwu, 2001, p2). At a time when the stories of African women were a marginal facet of Afrocentric- and African postcolonial discourse, Nwapa strived to write and reflect on the agency and lived experiences of African women (Perdigao, 2017). It is for this reason that Nwapa is often hailed as the mother of African feminist literature — she was “the first person to raise and articulate experiences of [African womanhood] in writing” (Nzegwu, 2001, p7). Her dedication to the wellbeing of African women and commitment to their accurate representation and agency is undoubtedly one of Nwapa’s most defining characteristics. Nevertheless, “it would… be a disservice to her memory for scholars and reads to see continuing interest in her works as an affair for women only” (Ike, 1998). Nzegwu points out that long before the canonisation and popularisation of the ‘African Renaissance’ intellectual movement, Nwapa contributed “to the debate on the essence and dynamics of the African heritage, especially as it centres women and motherhood”(Nzegwu 2001, p2). In her work, she often emphasises the “indigenisation and local control” of literary and educational projects around Africa, supporting an Afrocentric attitude towards social development on the continent. Ultimately, Nwapa’s legacy is vast: as an author, an educator, and public servant she worked hard to serve and support African people -women and children in particular – and for a plethora of reasons, deserves to be memorialised and remembered at this university and beyond. Ezenwa-Oheato. ed., (1998). Breaking Through: The Publishing Enterprise of Flora Nwapa. In: Emerging Perspectives on Flora Nwapa. Trenton: Africa Research & Publications, p. 23. Hendy, I, n.d. Who is Flora Nwapa? The First of Many African Female Authors. [online] Available at: https://buzznigeria.com/flora-nwapa/ [Accessed September 14 2018]. 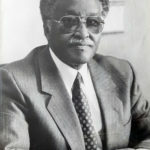 Nzegwu, F. (2001). Love, Motherhood and the African Heritage. ed. Dakar: African Renaissance. Nzeribe, E and Okereke, E. (2016). 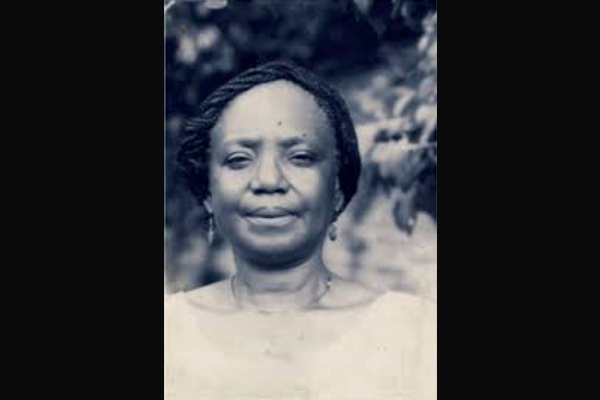 Flora Nwapa: Pioneering Nigerian administrator, academic and author. [online] Available at: http://dangerouswomenproject.org/2016/04/21/flora-nwapa/ [Accessed: September 14 2018]. Perdigao, Y. (2017). Flora Nwapa and the African woman’s struggle to identify as feminist. [online] Available at: http://nzingaeffect.com/flora-nwapa-african-woman-feminism/ [Accessed September 14 2018].